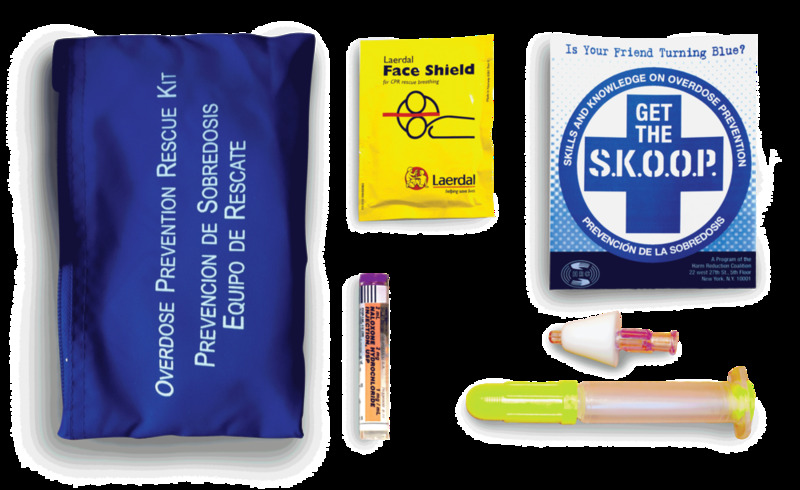 How might a kit ensure that, during a time of crisis witnesses can confidently respond to the person overdosing? The majority of overdoses are witnessed but many are too afraid to call for help because they fear facing penalties and that delay accounts for the high death toll. How well does the current kit work? The Harm Reduction Coalition (HRC) found a way to empower individuals untrained in emergency aid to take action in moments of crisis by providing them with training and a kit that contains Naloxone (Narcan). Narcan is a drug that blocks opioid receptors in the brain so that an unconscious person can continue breathing. It has long been used by trained emergency medical technicians, but until the HRC kit, the drug has never been available to average individuals. It takes 6 steps to assemble the current Narcan delivery system because these pieces are produced by two different manufacturers. The crisis situation the kit is intended for makes this assembly process problematic for the user. The cost of getting FDA approval for a new nasal spray design is too expensive for a small non-profit organization like HRC. The program circumvents this issue by having volunteers preassemble the nasal sprayer but as the program scales up, this step will become unmanagable. 2.) Encouraging the end user (the individual who has overdosed) in getting long term treatment. A redesign of the nasal sprayer presented an opportunity to explore what kind of design would best facilitate a untrained witness to administer the Narcan to someone else. User testing (30 participants) of different nasal piece forms yielded a 45° angled nasal piece as the design which created the most confidence in the individual administering the medication to someone else. How can the package better aid the real end user? transforms the drug overdose kit from a reactive measure to a preventative one by serving as an emotional token that the person overdosing keeps to remember that someone cared enough about them to save their life, and encourage them to seek rehabilitation.